Paperback, 5.5 x 8.5 in. / 108 pgs / 76 color. Edited by Heng-Gil Han and Christopher K. Ho. Essays by Omar Lopez-Chahoud, Melvin Marshall, Edwin Ramoran and Sara Reisman. Foreword by S. Zuri McKie. What does a street in flux look like? 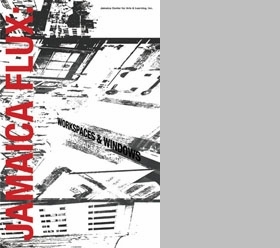 A combination of documentation and discussion of a site-specific exhibition along the Jamaica Avenue commercial strip in Queens, New York, this pocket-size book is perfect for mass-transit reading and for reflecting on “prickly questions about the intersection of art and commerce, art and gentrification, and art used as advertising,” according to The New York Times. FORMAT: Paperback, 5.5 x 8.5 in. / 108 pgs / 76 color. 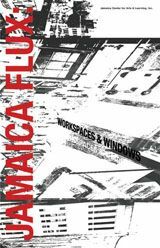 Published by Jamaica Center for Arts & Learning.